You always want to have your employees looking their best to help make a great first impression and to stand out from the crowd. Let Uniform Nations help your business find a professional uniform service that works best for your company. We make finding a new provider or replacing your current uniform program painless. No matter what service you need, Uniform Nations can help- we also offer free quotes on linen services, and can service virtually any industry. Get free quotes today! Rent or Lease Uniforms For Your Company- We Service Any Industry Nationwide. Have Your Rented or Purchased Uniforms Laundered, Ironed, Folded & Delivered. From Custom Embroidery to Individual Style, we’ll help you find affordable uniforms that fit your needs. Uniform Nations will help you manage your uniform program better- get a free quote on your service today! 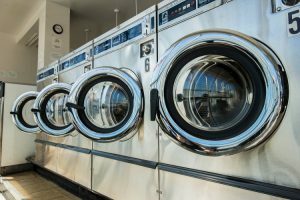 Uniform Nations has a network of Uniform Service providers for uniform delivery, uniform rental, and uniform laundry services. We’re an expert in connecting you to a local provider that offers a comprehensive service line for the things you need quickly.